Giving Tuesday, this year taking place on 27 November 2018, is the day to do good stuff for charity. Naturewatch Foundation is a charity committed to tackling animal cruelty, and we are working hard campaigning for better animal welfare around the globe. From co-ordinating World Animal Day to promoting cruelty-free shopping to campaigning against badger baiting and illegal puppy farming, Naturewatch Foundation is proudly supported by thousands of lovely supporters. As a small charity big on ambition, we are always looking for new volunteers and supporters including professional organisations that can help us with pro bono PR, digital or legal advice. We have a record of delivering successful animal welfare campaigns and value highly all the voluntary support we receive. It’s not just adults that can do their bit to help promote good animal welfare. We’re keen for children aged 13-16 to take part in our badger illustration competition to be judged by Chris Packham. 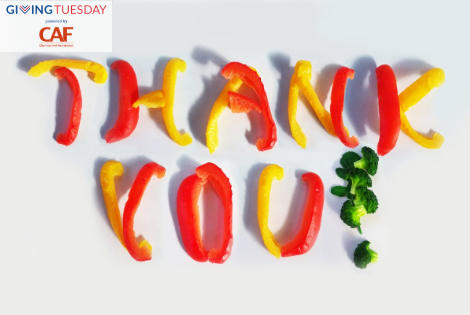 To celebrate ‘Giving Tuesday’ taking place on 27 November and as a little way of saying thank you to our fabulous supporters and as suggested by Giving Tuesday Bake Good Stuff, our small office team would like to ‘give’ you some of our favourite bake recipes including some great dairy free and vegan options. We hope you enjoy them as much as we do! Instructions: Mix, cook, cool a little and serve! Instructions: Mix the water, peanut butter and oil | Add flours to a crumbly mixture | Draw together into a ball and then roll out onto a lightly floured surface | Cut into treat shapes and bake for 20 minutes on greaseproof paper (or around an hour if you’d like a crunchier biscuit)| Allow to cool before serving. If you have concerns about giving your dog a home-cooked treat, please check with your vet first. This is the coffee and walnut version of a well-known no-dairy ‘recipe’ for the culinarily-challenged like us. Obviously, Betty Crocker makes ready-flavoured cakes such as lemon and coffee. However, we think the cake tastes better when we add our own flavourings to a versatile vanilla cake mix. Experiment with other Betty Crocker cake mixes and a variety of fizzy drinks to find your favourite! Instructions (cake): Pre-heat your oven | Dissolve the coffee in the hot water and put aside to cool | Sieve the Betty Crocker mix and baking powder into a mixing bowl | Add the cream soda and beat well | Add the cold coffee to the mixture | Beat thoroughly until your mixture is the correct consistency (smooth and creamy) | Grease two sandwich tins and line the bottoms with greaseproof paper | Divide the cake mixture between the two tins | Bake for around 25 minutes or until a knife comes out clean | Cool on a wire rack. Instructions (frosting): Dissolve the coffee in the hot water and put aside to cool | In a bowl, beat the margarine and icing sugar until smooth | Add the coffee when it’s completely cold | Sandwich the cake halves together with the frosting | Use the remaining frosting to decorate the top (and sides if you have enough) | Decorate your cake with the walnut halves or pieces and enjoy with a cup of coffee! Ingredients: Crust - One cup packed pitted dates | 1 cup raw walnuts blended in food processor. Filling - 1/2 cups raw cashews (quick-soaked*) | juice from 1 lemon | 1/3 cup melted coconut oil (melted) | 2/3 cup full-fat coconut milk | 1/2 cup agave nectar | maple syrup (or honey if not vegan). Optional flavours to swirl on top: 1 tbsp salted natural peanut butter | 1/4 cup wild blueberries. Instructions: Mix and use a muffin tin for individual cheesecakes. Freeze for 4-6 hours before serving. Instructions: Mix the dates, seeds, nuts and syrup in a food processor |Poor the cocoa powder into a tub that has a lid that fits onto it |Roll the date, seed and nut mixture into small balls and place them into the tub containing the cocoa powder | Put the lid on the tub and shake so all the balls become covered in cocoa powder | Keep in the fridge for 1 week - but they'll all be devoured well before then! Thank you for all your vital support and campaigning for animal welfare. We hope your bakes are successful too!